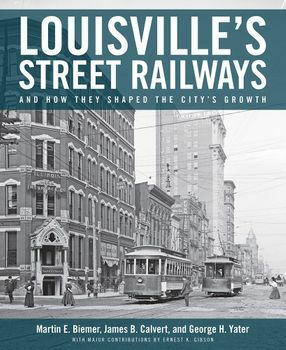 For the first time ever, after decades of research, the story of Louisville's street railways and their impact on the city is told in detail in Louisville's Street Railways. The book is supplemented by several hundred photos, drawings, and illustrations, and 14 large-scale maps of Louisville's Street Railway Lines, Interurban Lines, and Steam Railroad Routes that are enclosed in an envelope and inserted into the back of the book. 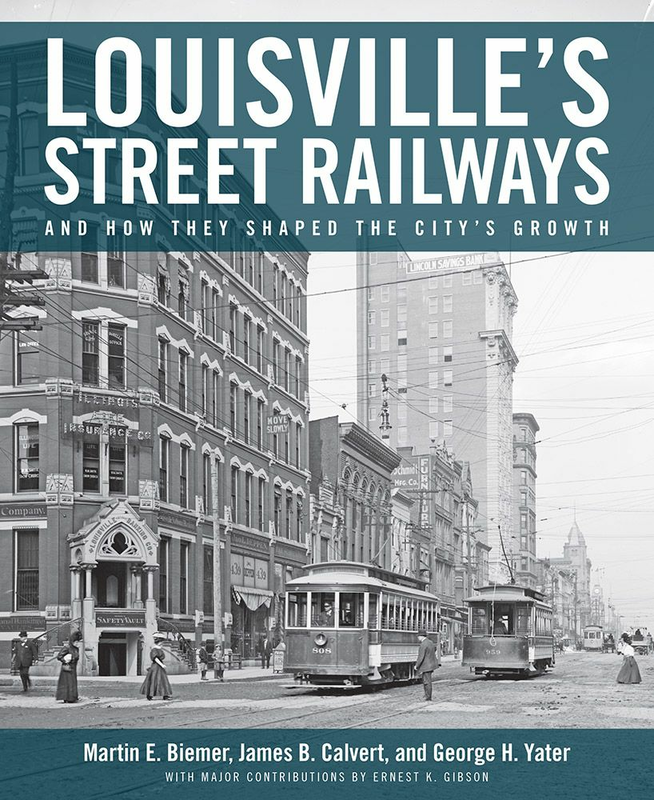 For nearly eight decades, Louisville's street railway system was the key to the city's growth. Beginning in the late 1860s, the streetcar lines stretched outside the city limits, beckoning the city to follow. James Calvert, George Yater, and Ernest Gibson were born in 1922, and were fascinated by the streetcars from their childhood. For years, Yater planned to write a history of Louisville's streetcar system, and Calvert planned to write a history of the electric interurban lines that stretched into the city's countryside. Gibson assembled a tremendous collection of drawings, documents, and stories about the systems, and left them to the University of Louisville when he died. Martin Biemer was born in 1938. He, too, rode streetcars and was fascinated by them. In 2005, he joined with Calvert and Yater to help write the long-delayed history of Louisville's system. When both older men died the next year, Biemer continued the work, based on the Calvert, Yater, and Gibson collections, plus several others at the University of Louisville. Now complete and compiled into a single volume, Louisville's Street Railways tells the fascinating and nearly forgotten history of those early streetcar days: The street railway wars of the mule car era, the mayor who was illegally impeached because he wouldn't sign a corrupt franchise agreement, the conversion of mule cars to electric power, and the political and financial struggles that kept the streetcar system out of bankruptcy – even during the Great Depression.